It’s finally spring in Boston! And unlike the occasional t-shirt weather spurts in February and March, it seems like this streak of sunshine and relative warmth is here to stay. 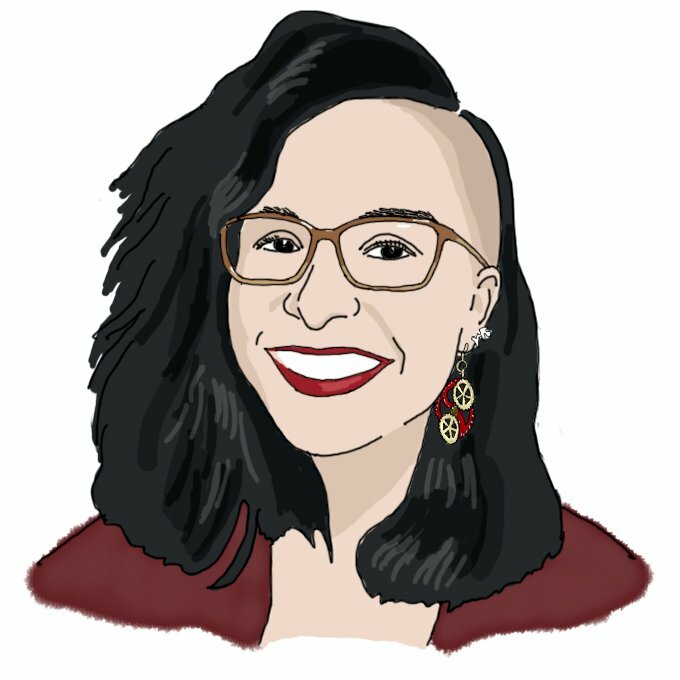 In this final quarter of my time at MIT, I am taking not one, but two PE classes, back-to-back: Fitness & Meditation first, Yoga right after. Although having to take half of my PE requirement in the last 6 weeks of college makes me “that senior,” I’m pretty happy I doubled up. Saves me time not having to cross over to the West side of campus twice, even though it is only a 10-minute journey. On Monday, the weather was so nice, and my mood was so good after all the exercise and meditation, I photodocumented my trip back home from PE class, for the blogs. Below are 29 photographs, with captions about culture and architecture. The spherical building in the back is Kresge Auditorium, where MIT holds its biggest performances, such as those of the MIT Symphony Orchestra or Concert Choir. Fun fact: Kresge is a perfect 1/8 of a sphere, which allows it to be supported at only three points, leaving more space for the auditorium underneath the dome. 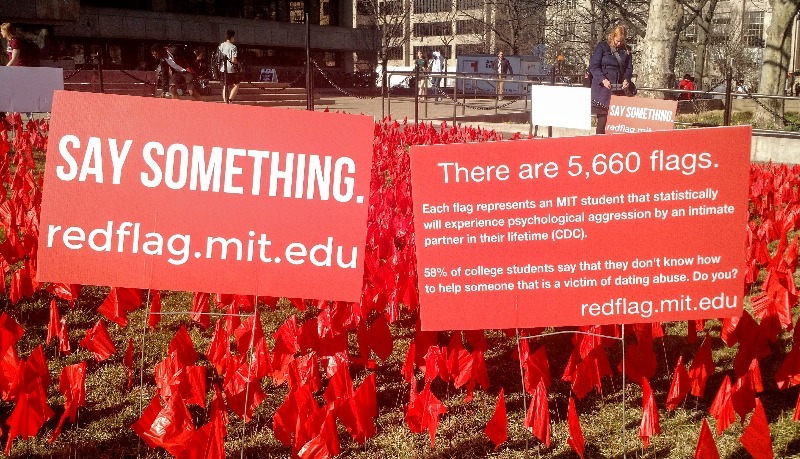 The flags at the front are part of the MIT Undergraduate Association’s Red Flag Campaign to demonstrate how interpersonal violence affects our community. Read more about it in the picture below. 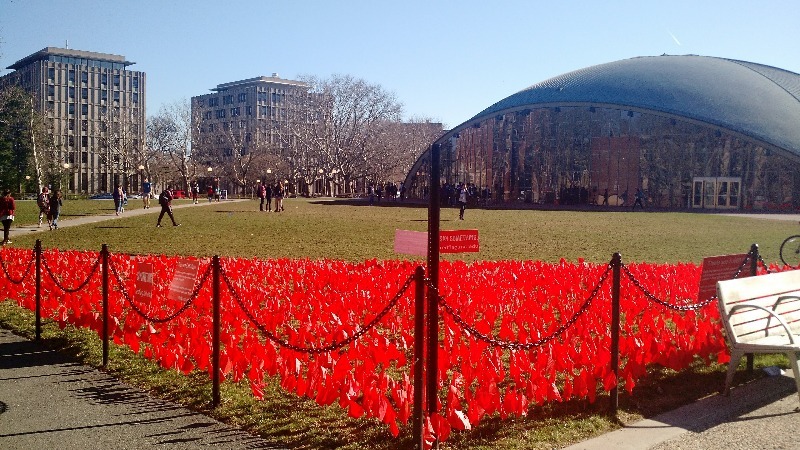 The installation was made as part of the programming for MIT’s SAAM (Sexual Assault Awareness Month). Pictured above is the Z Center, MIT’s central athletic facility and my PE destination. The Z Center also home to major on-campus events such as Career Fair or Spooky Skate. 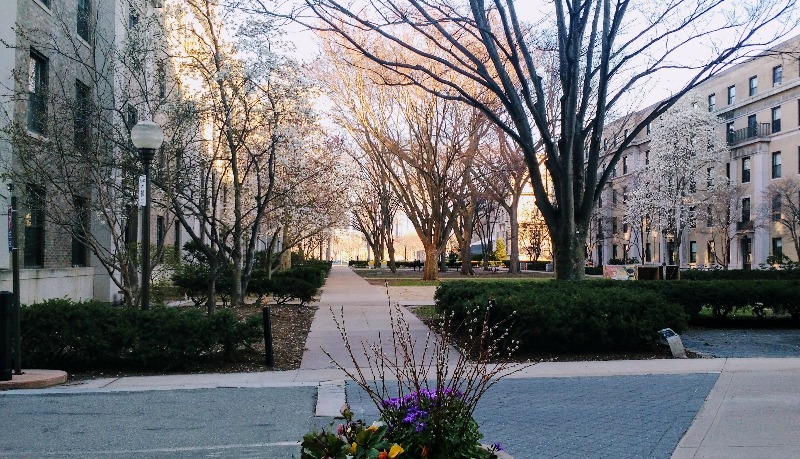 Across from the Z Center and Kresge Oval is the main entrance to MIT on 77 Massachusetts Ave, under the Small Dome. Notice also the Red Cross truck in the shadows: students get many opportunities to donate blood on campus. 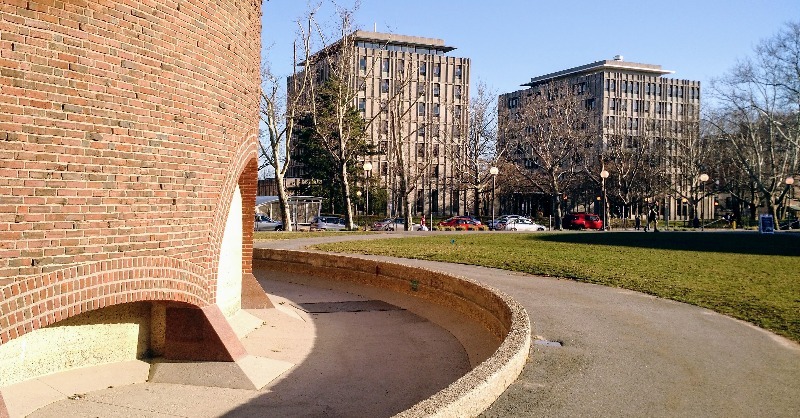 Seen from the Kresge Oval is Maseeh Hall, MIT’s newest dorm (look for the building that looks like a castle!). Peeking behind Maseeh is the Prudential Center in Back Bay, Boston. 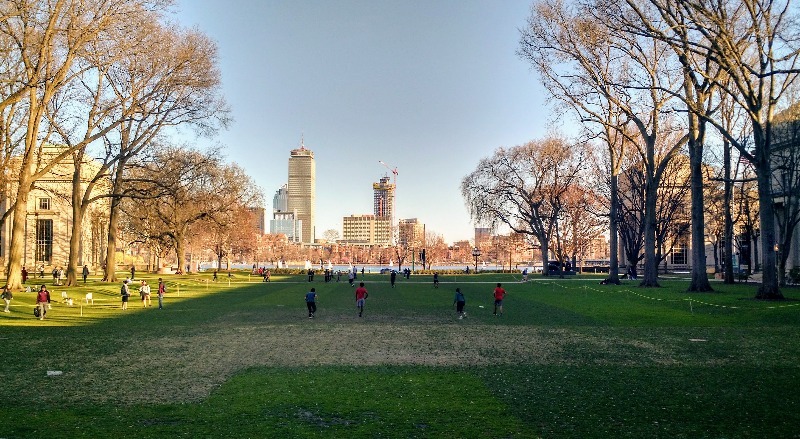 MIT is located only a 10-minute walk across the bridge away from Downtown Boston’s best attractions. Across from Kresge Auditorium stands the MIT Chapel, a non-denominational institution. Over 20 chaplains of different faiths provide confidential support to all students, regardless of religion or lack thereof. 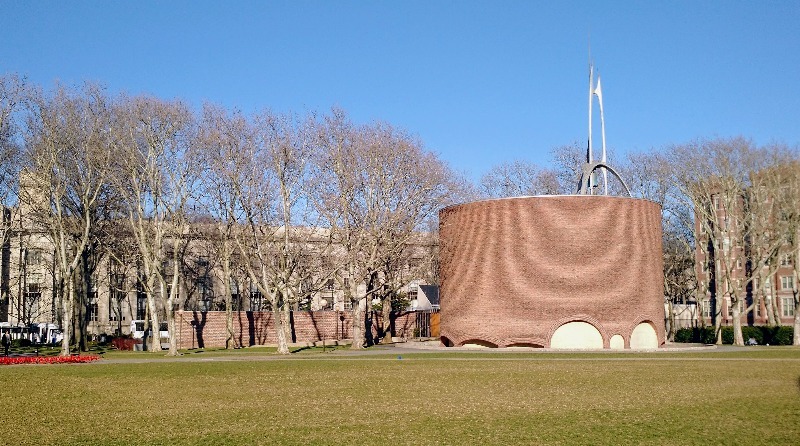 The Chapel is a windowless cylinder that still lets in natural light. The secret is in the moat (below). The bottoms of the arches are glass and reflect light into the building! 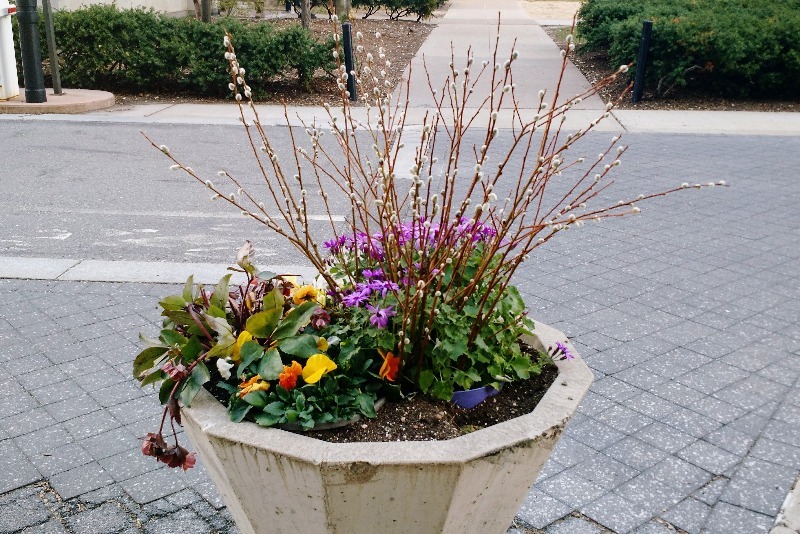 This ingenious idea belongs to architect Eero Saarinen, who also designed the 1/8 sphere of Kresge Auditorium. 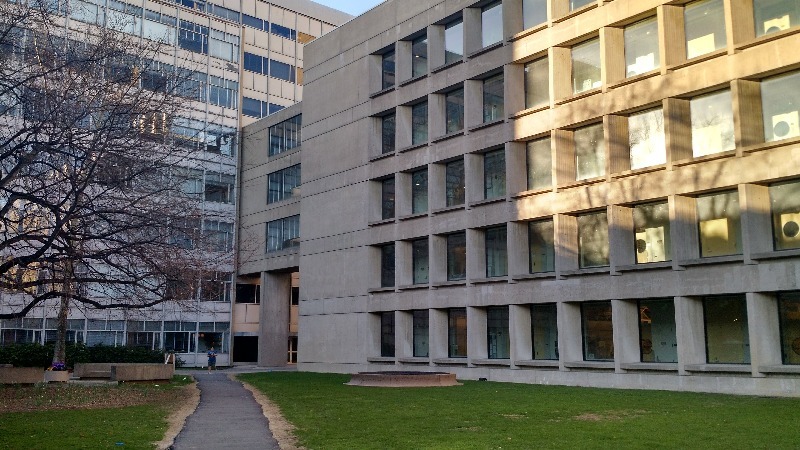 The two cubic structures behind the moat make up McCormick Hall, MIT’s only all-female dormitory. It’s Palestine Awareness Week at the Institute. Above is just one of the exhibits created by students, this one in front of the Student Center. The Massachusetts Ave crosswalk is the most boring part of the journey back from PE, as it can take a while to light up. 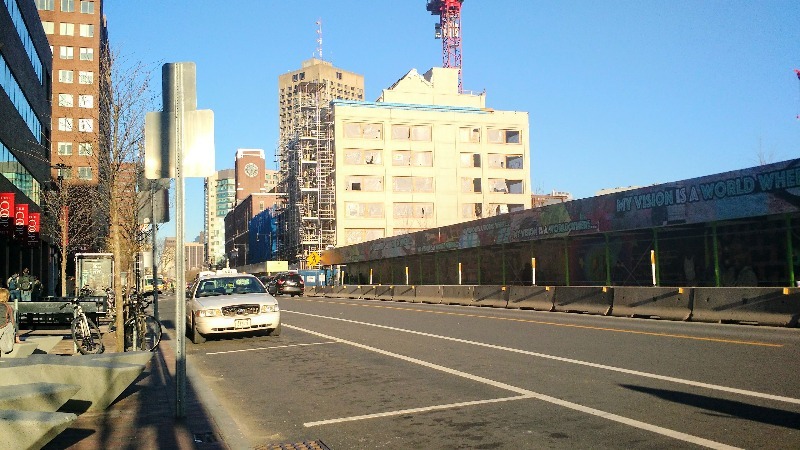 Travel to the right down Mass Ave, and you’ll get all the way to Downtown Boston and Back Bay. Travel to the left, and you’ll end up in Harvard Square. 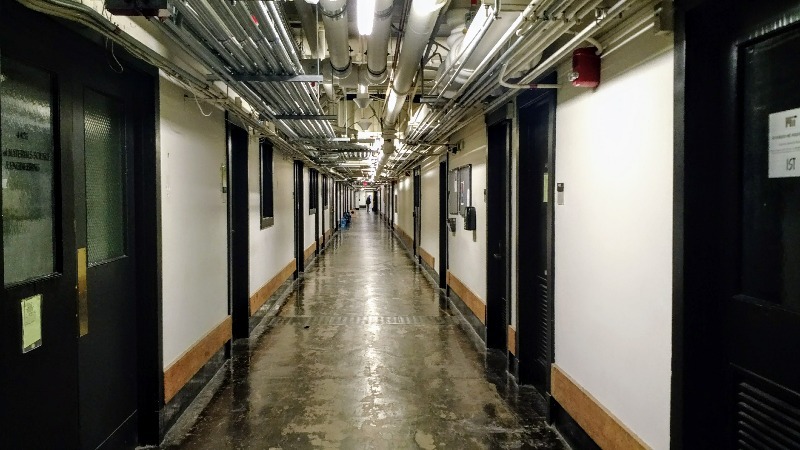 The Infinite Corridor is one of MIT’s main attractions. 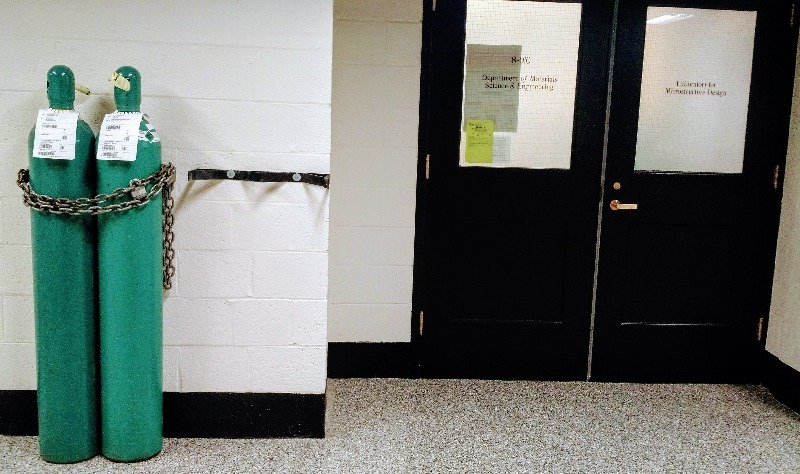 It is a series of hallways and tunnels that connects most of the academic buildings, but its main part is the hallway pictured above. 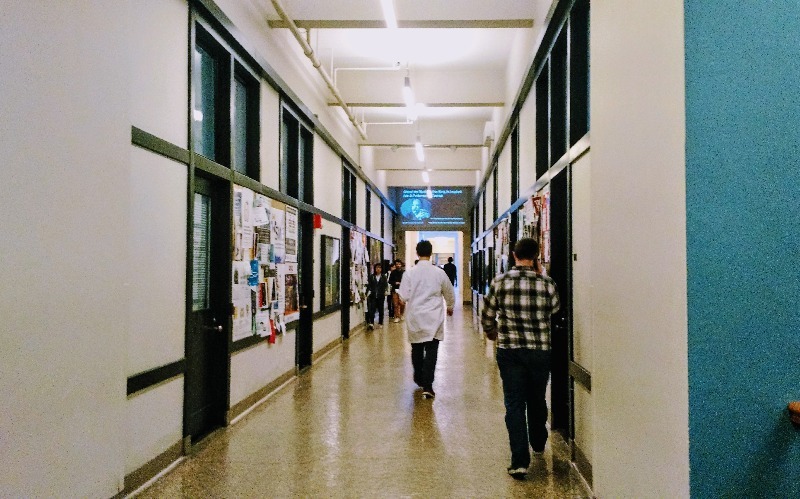 Many wonders have been found in this hallway, including a random lab tech in a white coat wandering down just as I was taking the picture. In the middle of the Infinite lays Lobby 10, right under the Great Dome. This magnificent view is outside the Lobby. 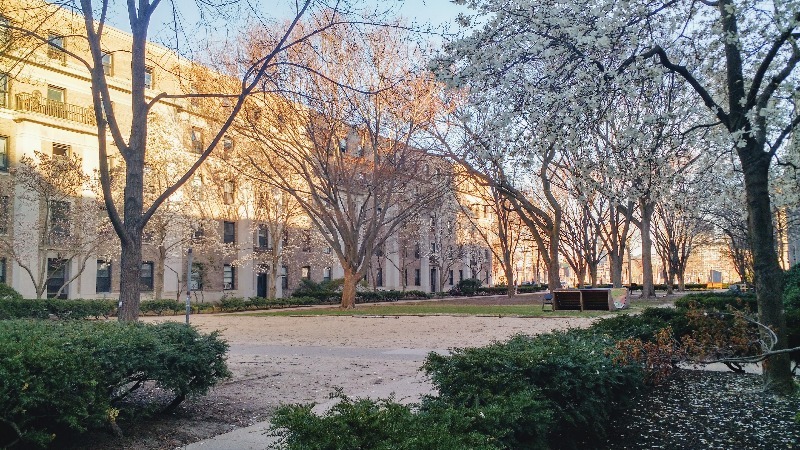 On warmer days, you’ll find students playing soccer and other games on Killian Court, and in a few weeks, the Class of 2018 will graduate here. 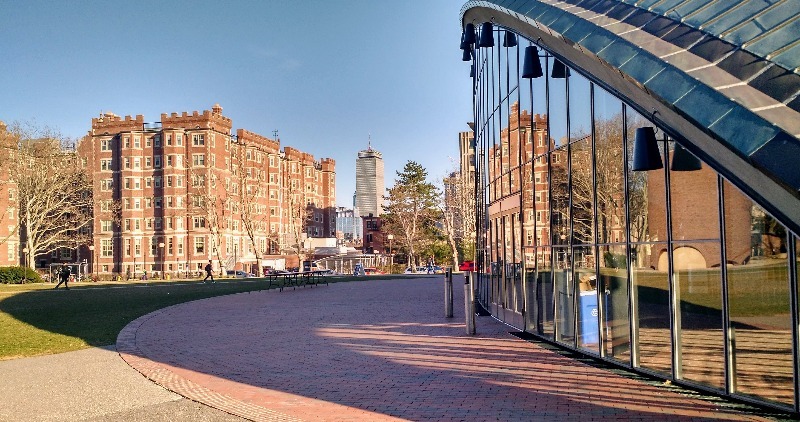 Fun fact: the founder of MIT, William Barton Rogers, initially planned to connect Killian Court to the Charles River so that ships could sail right up to the Great Dome. These plans never became reality, and with the construction of Memorial Drive between Killian and the river, never will. However, Killian Court still has a downward slope in the middle, which was meant to be the waterline. Just as the above-ground section of the Infinite holds many wonders, so do the basement tunnels. 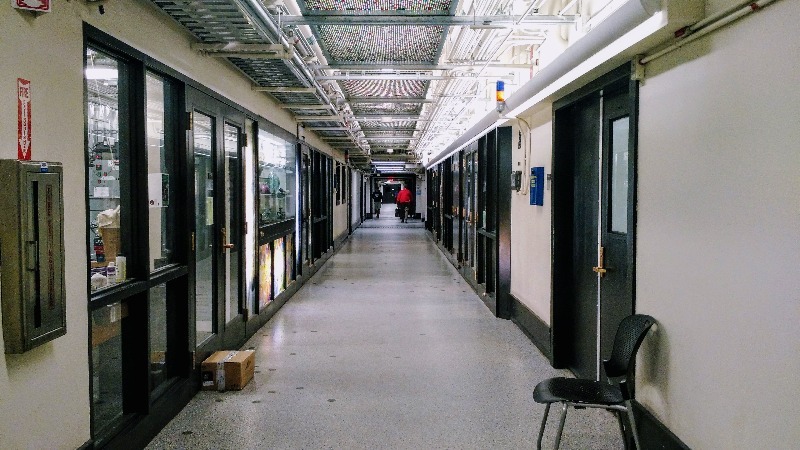 Pictured above is the tunnel entrance right after Lobby 10, where you can find MIT Glass Lab. The ceiling is stained glass! 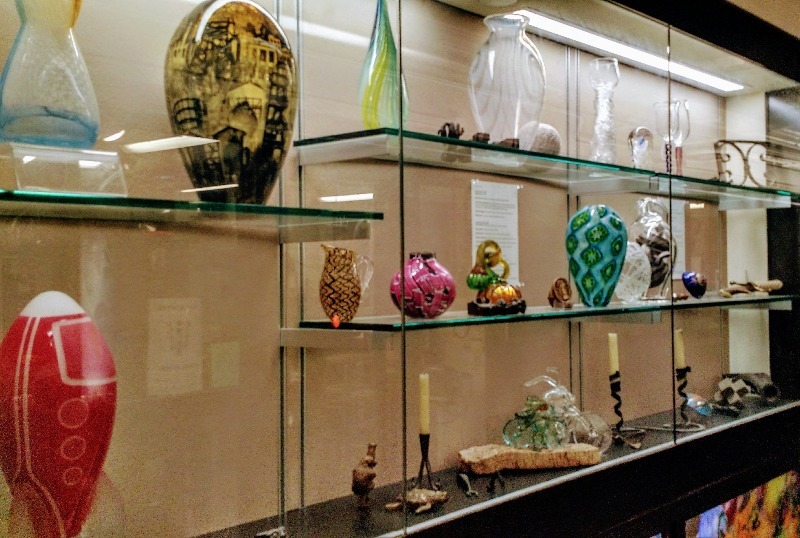 Because glass blowing seminars are so popular, students have to sign up for Glass Lab offerings through a lottery. 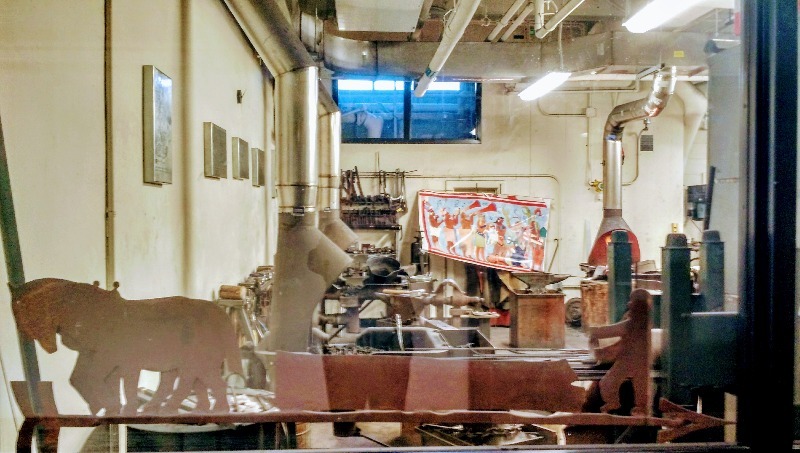 The lucky ones get to make beautiful creations, such as the ones above, using the Lab’s equipment, such as the always-on oven (below). 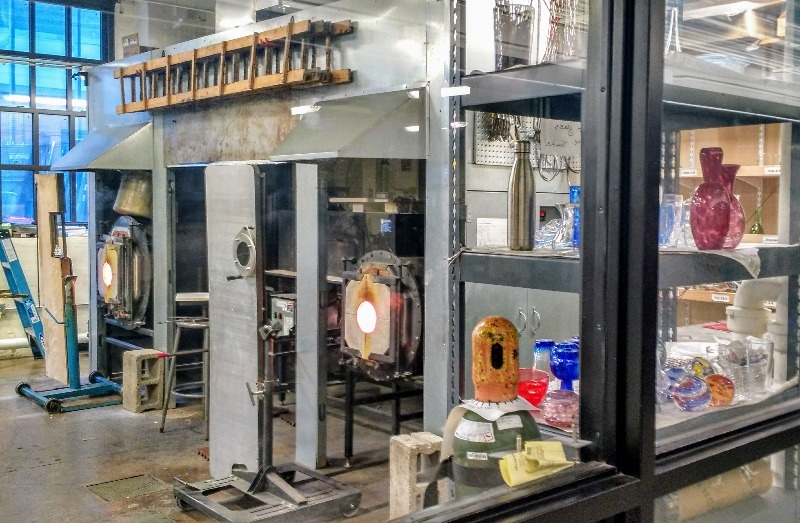 Across from the Glass Lab is the Metals Lab, which includes an open forge (below)! The basement tunnels are perhaps most notable for the network of pipes running along the ceiling. At least that’s what I noticed about them when I first visited MIT. 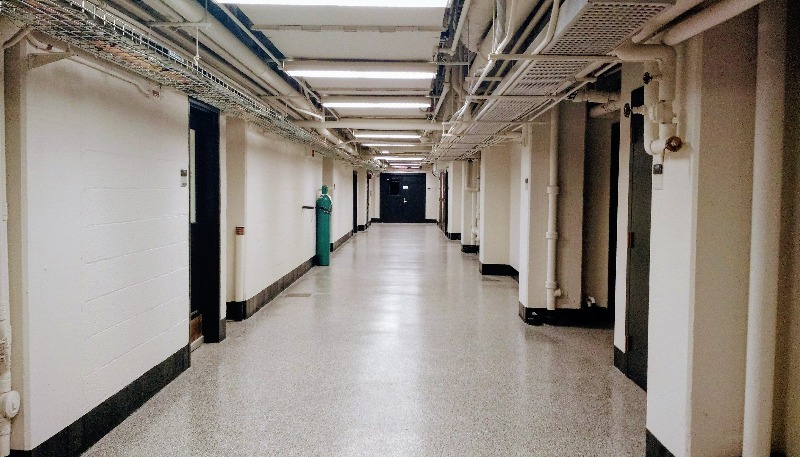 The hallways pictured above and below are part of the Materials Science and Engineering Department (Course 3). More wonderful discoveries in the Infinite tunnels: liquid nitrogen containers chained to the wall! They belong to the Course 3 Laboratory for Microstructure Design (due to the poor upload quality, you probably can’t read that on the doors in the back). On the other side of the Infinite Corridor is a lovely courtyard. I went all the way from the bustling Mass Ave main entrance to this oasis of quiet. More campus surprises! The U-shaped benches above serve a fascinating purpose: if you sit on one side, you can perfectly hear everything that’s said on the other side! Above is the view under the Green Building, the tallest building on campus and all of Cambridge, MA. As you can see, the Green Building stands on stilts, which was the only way the architect, I.M. 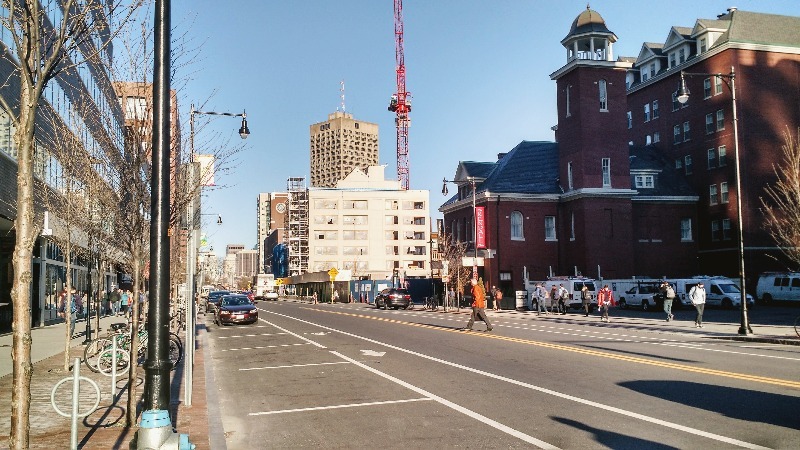 Pei, could create Cambridge’s tallest building without breaking Cambridge regulations. 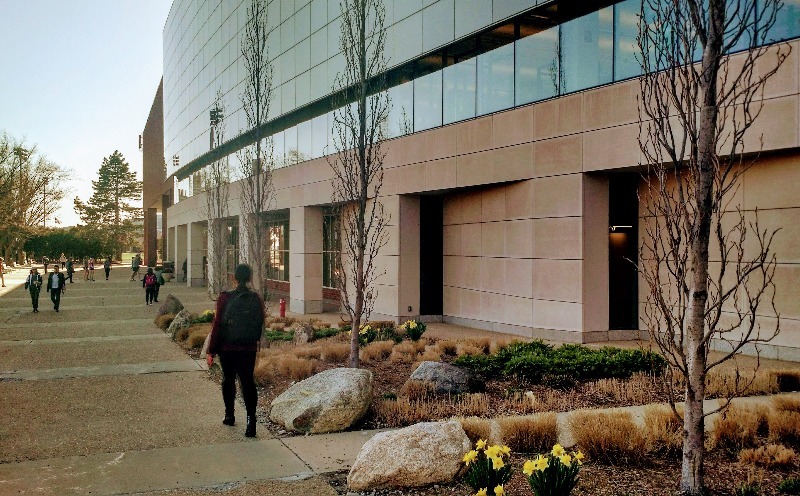 The unfortunate side effect of this design: the doors underneath originally wouldn’t open due to the heavy winds coming from the Charles River! The solution was to install revolving doors, as well as put a sculpture in front of the building to partially shield it from the Charles. The black structure is now known as the Great Sail, and it’s a testament that you can turn a mistake into art. 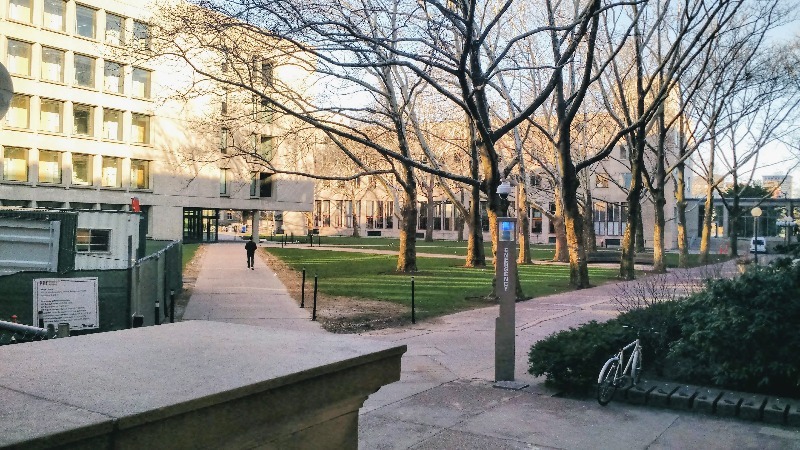 East Campus, my dorm, consists of two buildings: the East and West parallels, that are connected by a basement tunnel. 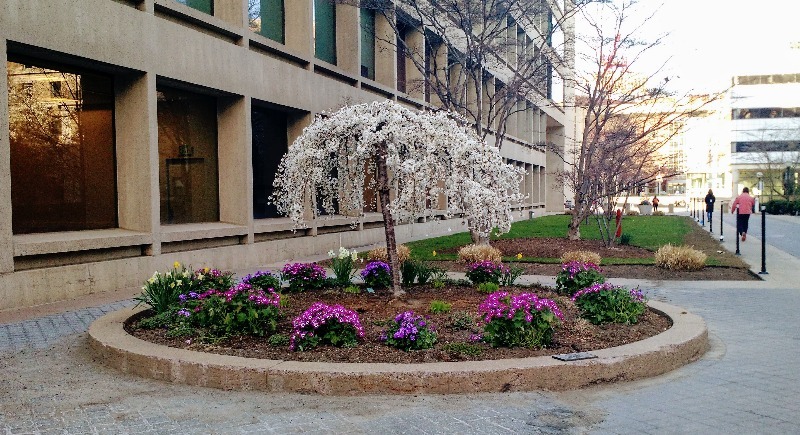 The courtyard is finally in bloom! 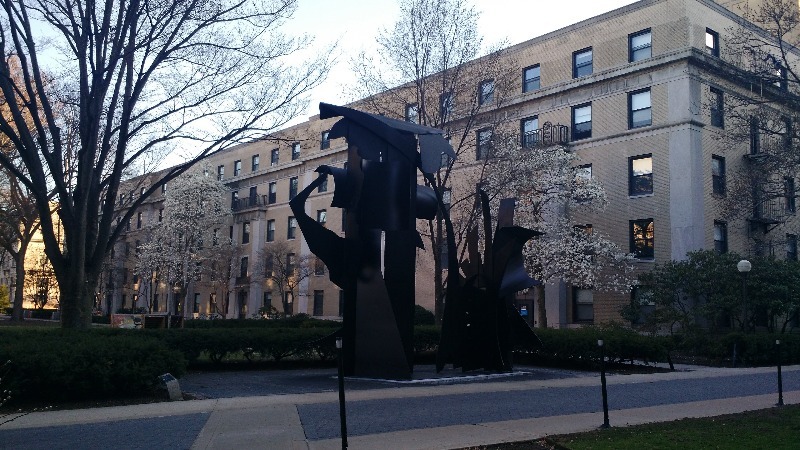 Fun fact: the black sculpture in the picture above is called the Transparent Horizons, and it is almost universally disliked by EC residents. We have tried to bury it in toilet paper on East Campus Day, and in snow on a snow day. Still, it stands. Inspired by the 10-minute journey so far, I decided to walk 5 more minutes to Kendall Square to get food. 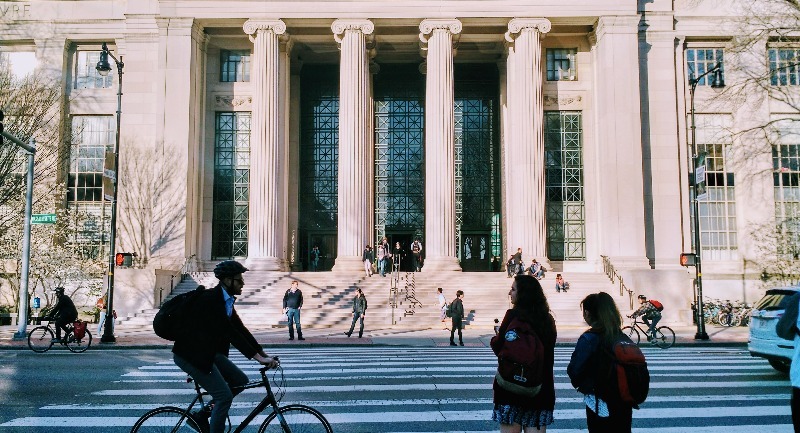 Besides food, Kendall is home to MIT COOP, where we get our textbooks and graduation regalia, and the Kendall/MIT subway station, which is the fastest way to get to Boston or further away from it. The Square is pictured below.